Experts from across the world have gathered at City to discuss the role that creative industries play in contemporary cities. Academics explored a wide range of issues, from the benefits of start-up incubator programmes to creative activism. The seminar series was organised by Dr Cecilia Dinardi (right), a Postdoctoral Urban Studies Foundation Research Fellow in the Centre for Culture and the Creative Industries, part of the Department of Sociology. 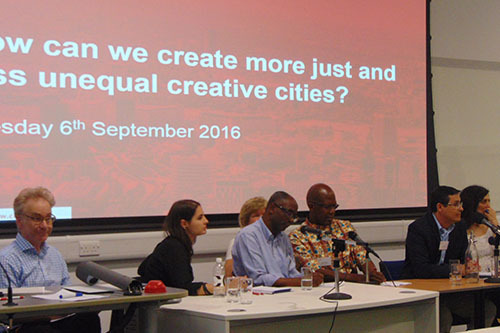 After a day of presentations and discussions, City also hosted a public event looking at the question “How can we create more just and less unequal creative cities?” The project – titled Urban Cultural Policy and Creativity: A Platform for Creative City Exchanges between Policy and Academic Communities – was funded by a British Academy Rising Star Engagement Award. The first session of the conference explored the global growth in facilities where new creative enterprises can develop at low rental costs. Opening the talk, Dr Ana Alacovska, of Copenhagen Business School, explained how creative hubs in Albania and Macedonia provide spaces for people to share ideas. Beatrice Pembroke, Director of Creative Economy at the British Council, said the organisation was engaging with 300 hubs in 30 countries including Vietnam, Uganda and Turkey. She explained the success and impact of hubs varied, and some are fragile because they don’t follow traditional business models. Leona Lynen gave a presentation on a project that connected civil society groups from across north west Europe. The IN TRANSIT scheme, run by the Goethe-Institut, aimed to encourage user-led urban planning, connecting people from different countries and backgrounds. Ella Harris, of Royal Holloway, University of London, presented findings from her ongoing PhD research into the problems with “pop-up” shops and creative spaces. Temporary outlets have become more popular in the past decade. However, Ella suggested “temporariness is very restrictive and brought in to gentrify areas”, an approach which generates interest in areas for developers while artists and other occupiers do not have a say in end uses. 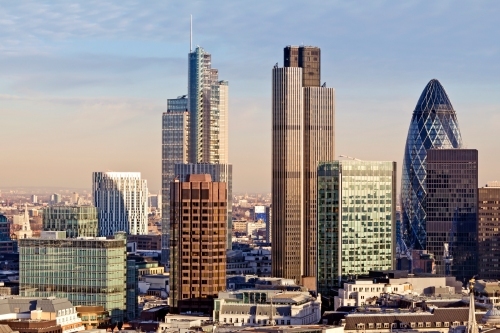 The issue was acknowledged by Chenine Bhathena of the Greater London Authority, who said culture-led regeneration can be seen by some as a short-term solution to raise awareness of an area, rather than being part of the long-term plan. She discussed the importance of nurturing the cultural infrastructure of the city and working with night-time enterprises. Dr George Morgan, of Western Sydney University, highlighted the problem of artists and others in creative industries being unable to afford to live in areas that were becoming gentrified. He suggested governments could subsidise studio spaces which might allow for “non-commercially viable creative clusters to endure”. 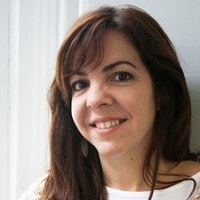 Dr Marianna d’Ovidio, of the University of Bari in Italy, described an art movement in Milan that saw artists occupy an empty 33-storey skyscraper. After two years, the group occupied a second building and succeeded in beginning negotiations with the city authorities on abandoned and squatted spaces. Physical elements of cities can be used for activism, according to a presentation by Dr Oli Mould, of Royal Holloway, University of London. He gave the example of the Black Lives Matter campaign, which he said used “the materiality of the city creatively to make political statements”. He also highlighted a bench that had been designed by a Camden firm and won an award for deterring anti-social behaviour, but was used by skateboarders, and therefore facilitated “subversive creativity”. How can we create more just and less unequal creative cities? The public event in the evening began with a presentation from Professor Ana Wortman, of the University of Buenos Aires, who discussed the large film industry in Argentina. According to her presentation, one in four film students in the world come from the country. There are now several creative districts in Buenos Aires, with one northern area being home to 200 companies. Francisco D’Almeida, a cultural development expert from Togo, described his work over the past two decades, which has seen him work with authorities to make creative facilities. He explained there was an “ignorance of most decision makers” about the benefit of cultural industries, and he explained that different economic models were required in different areas, taking into account the lack of public funding. The economy cannot be separated from cultural activity, according to John Newbigin, Chairman of Creative England. He suggested that “the power of the arts, business and government” could be mobilised in the face of high youth unemployment. John used the example of a Birmingham project that saw art used to dissolve local gangs. Luiz Antonio Gouveia Oliveira, Brazil’s culture ministry adviser on the creative economy, said the cultural economy played a large part in generating employment in remote areas of large urban centres. He said there were 27 creative clusters supported by a collaboration with the ministry of culture. The final presentation was from Mamou Daffé, founder of Festival on the Niger, in Mali. He described the growth of the project from a local event in the town of Segou to a regional and then national project. The festival has helped to grow the creative economy in the area. And now the local authorities would like to create “cultural heritage and artistic creativity, and make it a pillar of local development”. The events were kicked off with a networking reception kindly hosted by the British Council.